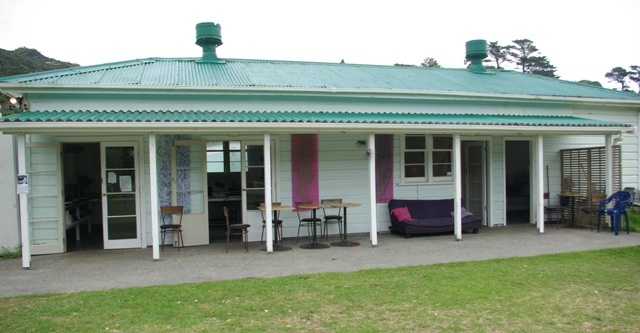 By the early 1960sÂ the Piha Radar Station was not longer needed for any military purpose and the Airforce authorities and Whenuapai began looking for alternative homes for the buildings which were otherwise in excellent condition having been maintained by successive caretakers. One of the buildings was brought down the hill – a feat which must have been hair-raising given the narrow twisting road – and put in the Piha Domain campground to serve duty as a cookhouse and ablutions block. Today, it is still in use as a cookhouse for the campground.